The term “dietary supplement” describes a broad and diverse category of products that you eat or drink to support good health and supplement the diet. 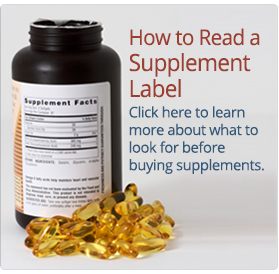 Dietary supplements are not medicines, nor should they be considered a substitute for food. Although some herbal and mineral compounds have been used for hundreds of years to treat health conditions, today dietary supplement manufacturers are not legally allowed to say their products cure, treat or prevent disease. 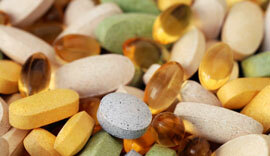 Supplement makers can say their products support health or contribute to well-being. That is because Congress does not regulate dietary supplements the same way it regulates medicine. Except for new dietary ingredients, dietary supplement manufacturers do not need to prove to the U.S. Food and Drug Administration (FDA) that a product is safe or effective to be able to sell them. And, unlike medicines, which are required to meet USP standards to help ensure product consistency across multiple manufacturers, USP standards are voluntary for dietary supplements. Dietary supplements are widely available in health food stores, drug stores, grocery stores, fitness centers and online and they come in many forms including: 2 piece capsules, soft gels, tablets, bottles of liquid, powders and gummies.